Criminal justice is a rapidly growing and dynamic field. A PhD in criminal justice is the ideal choice of degree for those individuals who are looking to secure academic excellence and become leaders within this particular field. The degree will provide students with a strong command of criminological theory, advanced research methods, as well as the essentials of criminal justice policy. Since most candidates choose an area in which to specialize, they will also acquire in-depth understanding and knowledge of that aspect of criminal justice.The doctoral program in criminal justice is intellectually stimulating and demanding. Students can expect to carry out extensive research, read vast amounts of course materials, and apply all of what they have learned to a culminating dissertation paper. When looking for a university or PhD program, make sure to do adequate research in order to determine whether or not they are accredited. Accreditation has a direct effect on the value of your degree. In addition to traditional, on-campus programs, there are also a variety of online PhD programs as well. These programs are designed for working professionals to gain their degree on their own schedule. Once your application has been processed, you may be required to appear for an interview. Some universities may also require you to share your master’s thesis and any published work you may have. In addition, it is highly recommended that candidates have previous work experience in the criminal justice system. Practical exposure is not only beneficial for preparing students for the rigorous study and research regime of the program, but it also helps you to determine which area of criminal justice you may be interested in for specialization. Most institutions also have a set of comprehensive entrance exams to test the competency levels of their applicants. The exact nature of these exams may vary from institution to institution. At the doctoral level, course work focuses on and combines the interdisciplinary components of criminal justice theory, its application, and its relevance to your area of concentration. Graduates of the program will have strong research skills and will be able to analytically access the study of crime causation, social reaction to crimes, and the legal system. 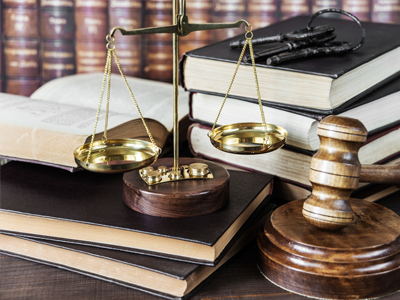 The program has a strong emphasis on the relationship between theory and practice, and analyses the interconnected activities of the many agencies and professions involved in the criminal justice system. Holders of this degree can contribute in a substantial way to the development of improved systems for the prevention and control of crime and delinquency. Most PhD programs in criminal justice take between three to five years to complete. The program requires students to complete a minimum of 60 credits towards the degree, which includes 42 hours of coursework and 18 hours of dissertation research. Students are required to take 7 core course (21 credits) as well as 7 elective courses related to their area of concentration (21 credits). Core courses make up the fundamentals of criminal justice knowledge and also provide students with a focus on advanced research and criminal justice theory. Some of the courses, which are considered compulsory, include quantitative and qualitative research methods, contemporary policy and criminology. Concentration courses on the other hand are intended to help you gain in depth knowledge on an academic specialty area of your choosing. The dissertation is the final component of the program and requires an original research topic in your area of concentration. This research piece is intended to evaluate the student’s expertise in that area and how well they are able to contribute scholarly to the field of criminal justice. You must then defend your thesis before a committee of professors. In addition, as part of the curriculum, students are expected to participate in professional development activities. These include seeking registration with relevant professional bodies, and attending and making presentations in professional conferences and seminars. You must also attend professional development workshops. When undertaking a PhD, it is common for students to choose a particular specialty or concentration area. The courses are then tailor picked to suit that area of study. Graduates of this degree possess the highest-level of knowledge in the field of criminal justice. It opens doors to management positions in crime prevention, corrections and public policy. As such, there are a wide variety of jobs available to these individuals, depending on their particular career goals. Joining professional associations as well as networking will play an important role in your career. There are a number of associations that you can join to help you secure grants to fund your research. The field of criminal justice is vast and there are a large number of potential job opportunities that you can explore. Graduates can apply for top-tier jobs at the local, state, and even federal level. With respect to job outlook and earning potential, individuals must keep in mind that there are a variety of factors that influence these two components of a job. Much depends upon your particular location, government spending, the particular profession; your particular skill set, educational background, and work experience, etc. Generally, however, the field of criminal justice is relatively stable due to the importance of the objectives of this field – maintaining social order and minimizing crime. One of the most common jobs that PhD holders seek is of a postsecondary criminal justice and law enforcement teacher. The U.S. Bureau of Labor Statistics (BLS) reported that as of May 2013 there were 14,870 people employed as postsecondary criminal justice and law enforcement teachers, with an average yearly salary of $61,850. The top 10% earned $98,500. BLS also predicts a 19% growth in the profession between now and 2022. Other law enforcement careers range from entry-level police officers to experienced criminal investigators. Due to their advanced knowledge and training, PhD graduates are in high demand for management positions in security analysis, public policy and the police force. Salaries vary depending on the employers and the exact job title. In addition, homeland security is one of the fastest-growing areas of criminal justice. Jobs in homeland security involve terrorism prevention, protection of public transportation, emergency management, and mission support and law enforcement. Graduates are in high demand for management positions within the U.S. government and in government agencies abroad. Earning a PhD in criminal justice is a stepping stone to becoming a leader within this particular field. The program gives students the highest level of education in criminal justice and imparts on them a sophisticated set of skills. Doctoral degree holders can influence the field in a very real way by contributing to changing policy and undertaking research to understand crime better so as to reduce it.